Product prices and availability are accurate as of 2019-03-28 14:22:51 EDT and are subject to change. Any price and availability information displayed on http://www.amazon.com/ at the time of purchase will apply to the purchase of this product. Got drool? We have the perfect solution for your little drooler or teether...because life is messy! 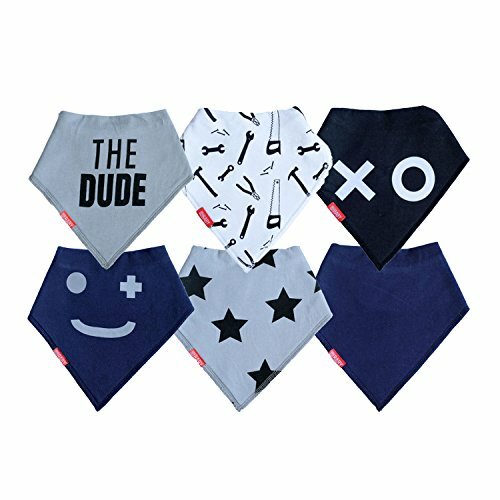 Keeping your baby dry and clean has never looked so cute with this set of 6 adjustable baby boy bandana bibs. Made from 100% soft cotton with an absorbent fleece backing, our bibs stop moisture seeping through onto your baby's clothes and delicate skin. Our bibs have that beautiful hand-made feel. With 6 stylish designs in cool colors, have fun mix and matching them to compliment any little outfit. They are quick drying, lightweight and comfortable for all day wear, simply throw in the washing machine for easy clean up. You can be assured these bibs will last the distance. No scratchy plastic and no velcro - they fasten together with two adjustable metal snaps so they keep your baby's bibs where they belong...and it's not the floor! oak + mini bibs make a perfect baby shower gift for any expectant mom's and dad's... because you can never have enough bibs! SET OF SIX BIBS: Six because you can never have enough bibs! Buy once and buy well. 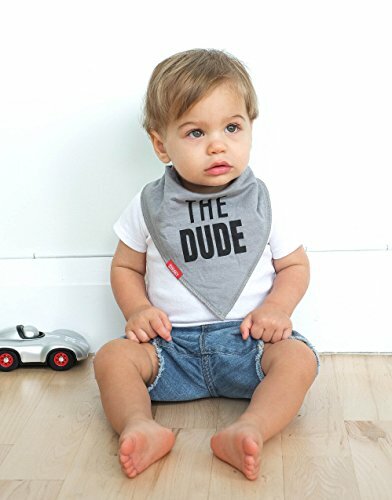 FUNCTIONAL & ABSORBENT: Bib front made from 100% cotton, with a baby soft absorbent polyester fleece backing. These bibs stop drool soaking through, helping prevent skin irritations and rashes. Perfect for teething babies! ADJUSTABLE SNAPS: Fastens around your baby's neck by two adjustable snap studs so it grows with your little dude. Ideal for newborns to toddlers (ages ranging from 3 months to 36 months). 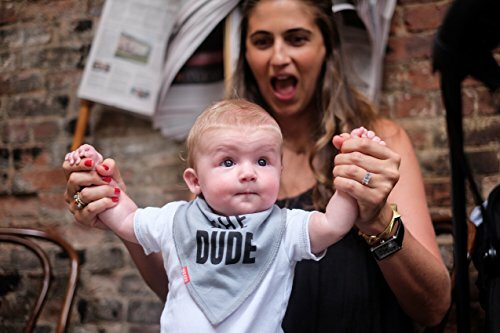 This is one bib that your baby will be unable to pull off but easy for parents to put on. STYLISH BABY ESSENTIAL: Cool colors and prints for your little dude, same absorbent design you love. Our bibs allow kids to be kids without sacrificing style. TOP BABY GIFT & REGISTRY FAVORITE: Handle those little messes in soft style. These are the perfect (and easy) gift for new parents, grandparents, baby showers etc.